We already have 30 guests booked on this week —lots of fun —you can take part in as many activities as you wish or none at all. Phokaia is the perfect resort for those who want to get involved in activities on holiday. We offer something for all ages and abilities, including tennis, cycling and a fantastic selection of fitness classes, so there’s something to take part in whatever your preference. 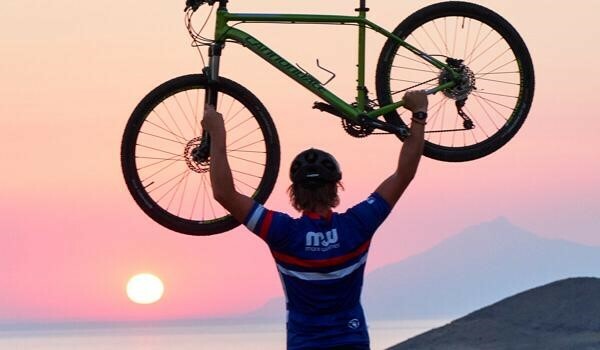 Take a free guided tour on a mountain or road bike with an experienced guide up into the hills for exhilarating descents or relax and opt for a sundown stretch overlooking the beach. This beautiful Mediterranean beach resort sits within stunning, mature gardens on a dazzling bay with superb facilities including tennis, mountain and road cycling in the surrounding hills, excellent conditions for all watersports . Positioned on the west coast of Turkey, this gem of a resort is found on the outskirts of the harbour town of Foça, with its mix of traditional fishing boats and modern sail yachts plus an array of restaurants from where you can enjoy the stunning views overlooking the Mediterranean Sea. At the heart of Phokaia is an incredible free-form style swimming pool with plenty of sun loungers and daybeds. 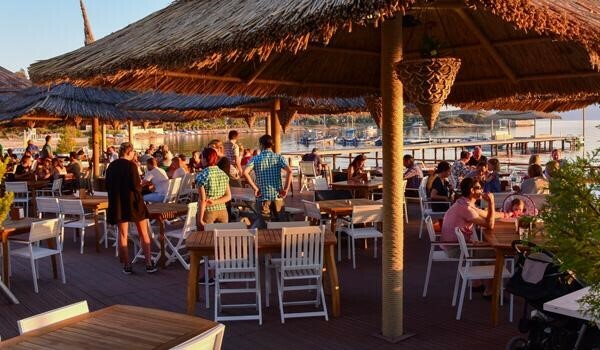 Overlooking the beach is one of two restaurants and bars with spectacular views across the bay – the ideal spot to watch the end of day race and to see the stunning sunsets. This resort oozes character. Enjoy well-appointed bedrooms, most with a private balcony or terrace, a Turkish bath and spa with a heated indoor pool plus an exciting programme full of activities – a week simply won’t be long enough. There is so much going on at the waterfront at Mark Warner’s resort in Turkey, Phokaia Beach Resort, that you’ll find it difficult to experience everything on offer in just a week. The conditions are perfect for the wide range of activities on offer and our watersports activities aren’t just about sailing and windsurfing. 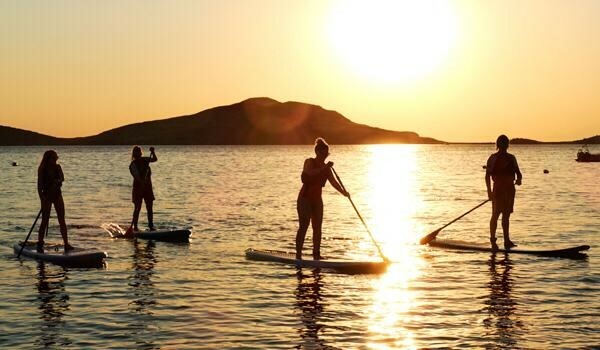 Kayaking and stand up paddle boarding is just as much fun or for those that prefer something a little faster, why not try your hand at water-skiing? Phokaia Beach Resort is fully equipped with a selection of different kits for all forms of watersports, meaning that everyone can get out and enjoy the beautiful clear waters the resort has to offer. We have a superb team of onsite instructors, who are on hand to help you, whether you’re a watersports pro or just beginning. The waterfront is open Sunday to Friday 9am to 5.30pm. The waterfront will be closed on a Saturday. Hours of operation may differ in peak season. £985 includes flight, transfer, shared room, food & use of all sports equipment with tuition. (single room £1285). When you book with Singlesport I put you in touch with our agent who will tell you the best deal available on the day. If you book early and subsequently cannot travel I will try to resell your room for you, this is not normally difficult if you book early at the cheaper price. Anyone on the “pending” list will be offered any cancellations that may become available.